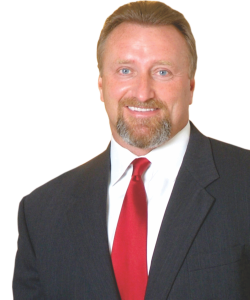 Bobby Varner handles a broad range of business and commercial litigation matters. Although based in Dallas, Bobby has tried numerous cases across the country. 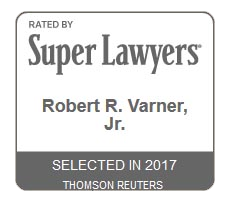 Mr. Varner has been selected as a Texas Super Lawyer by Super Lawyers, a Thompson Reuters service, each year from 2005 to the present. He is rated 9.5 (Superb) by AVVO and is rated AV (Preeminent) by Martindale Hubbell. Mr. Varner’s wealth of real world experience has proven to be invaluable to clients and allows him to handle a broad range of matters. Prior to practicing law, Bobby worked in a variety of industries. His commercial practice includes, for example, representation of minority shareholders and small companies as well as Fortune 500 companies. He is currently general counsel for a fractional aircraft ownership company and a leading manufacturer of commercial and residential building products. Mr. Varner graduated from the University of Virginia in 1984 with a Bachelor of Science in Biology. He earned his law degree from the University of Virginia School of Law in 1991. While in law school, Mr. Varner was a member of the Virginia Tax Review’s Board of Editors. After graduating, Mr. Varner began his legal career with a large, prestigious Dallas law firm and was promoted to partner after only two years. He subsequently left in order to form his own firm, where he has been practicing since. Bobby is licensed to practice law in Texas and Virginia and is admitted to a number of federal courts as well, including the United States District Court for the Northern, Southern, Western and Eastern Districts of Texas, the United States Court of Appeals for the Fifth Circuit, and the United States Supreme Court. Bobby is an active member of the bar and the community. His current and former memberships include the Dallas County and American Bar Associations, the Association of Trial Lawyers of America, the Texas Trial Lawyers Association, the Bar Register of Preeminent Lawyers, the Registry of Outstanding Professionals, the Million Dollar Advocates Forum, the Top Trial Lawyers in America and the Lawyer Pilots Bar Association. Bobby is also an instrument-rated private pilot and utilizes his own aircraft to assist Angel Flight, providing free air transportation to sick and terminally ill patients, and the Homeland Security Emergency Air Transportation Service, providing volunteer pilot services to respond to disasters or tragedies.